As a seasoned horror fan, I’m not easily rattled. Yet, hours after watching Hereditary my heart continued to pound. For all of its two hour and seven minute running time, Ari Aster's subversive and disturbing debut feature had me trapped in its cold, suffocating grip - filling my eyes with horrific images and my ears with ominous and foreboding sound. Hereditary didn't scare me... no, it just left me shocked and traumatised. At its core, Hereditary is a distressing portrait of grief. Of course, loss is no stranger to the horror genre. Films such as Lake Mungo, Don’t Look Now and The Orphanage all explore grief and despair. 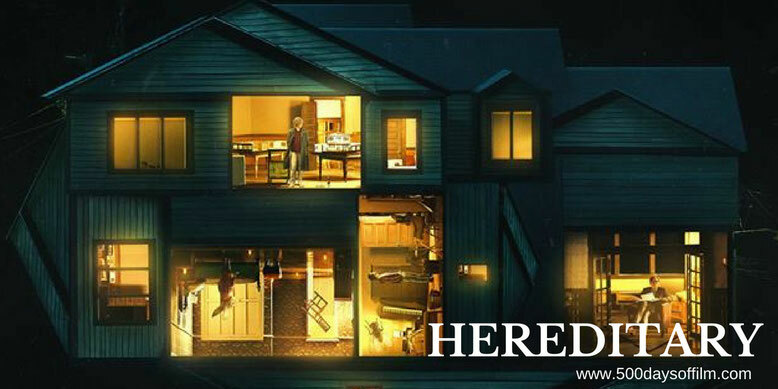 However, Hereditary goes a step further. The film's first two acts delve deep into the heart of unbearable, unthinkable grief. Characters are seen asleep or in a trance, mental illness haunts the family and no one is truly certain if they are awake. As he surprises and subverts our expectations, Aster explores the pain, the anger, the guilt and the relentless waking nightmare of bereavement. 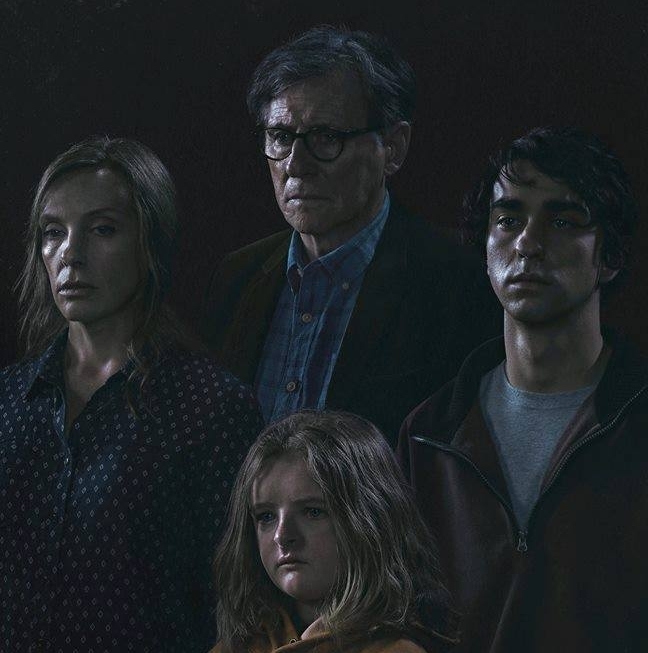 What makes Hereditary so disturbingly effective is that Aster refuses to offer his audience a break from the tension. Not a corner of this movie offers us any relief. Instead, the pressure builds and builds - we are never sure when it all might explode. At first, Toni Collette’s Annie seems most at risk of suffering a complete breakdown. Believe the hype and hand her all the awards, Collette’s performance is astonishing. She conveys Annie’s confusion, frustration, guilt and anger - often all in the space of a few seconds. However, it is her depiction of grief that will stay with me for a long, long time. She gives her absolute all in deeply distressing scenes that moved me to tears. 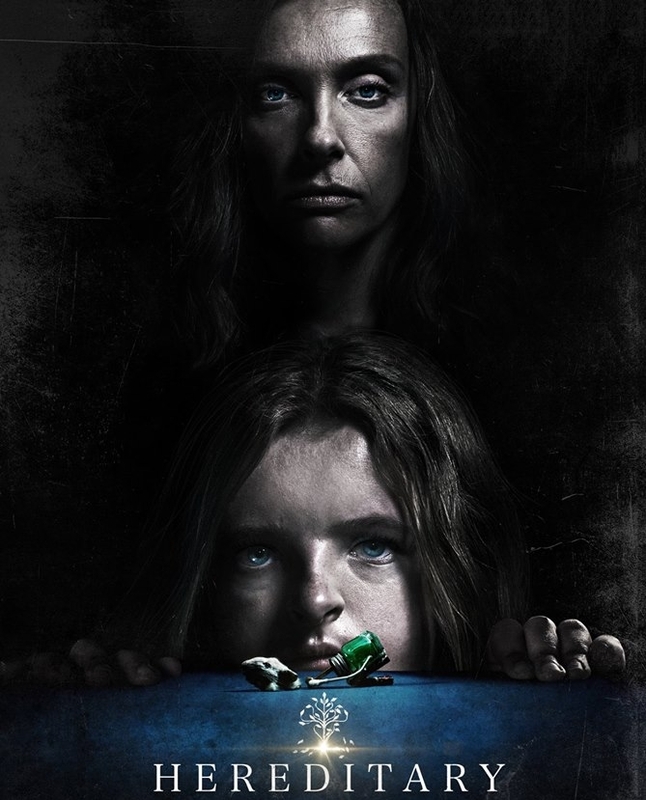 Hereditary forced me to connect with her raw emotion and consider my own worst nightmare. Praise and Oscar buzz will naturally (and deservedly) gravitate to Collette. It would be a crime, however, to neglect Alex Wolff’s performance as Peter. Over the past couple of years, Wolff has given a series of impressive and enjoyable performances (in films such as Patriot’s Day, Jumanji: Welcome To The Jungle and My Friend Dahmer). This role cements Wolff as one of the most exciting actors of his generation. He is simply superb in Hereditary. Peter becomes increasingly traumatised as events unfold - struggling to process his shock, guilt and grief. It's not an easy transformation to watch. In between mother and son stands Gabriel Byrne as Annie’s husband, Steve. His is a necessarily restrained and solid performance - resigned and deeply concerned for the wellbeing of his family. Meanwhile, Milly Shapiro is perfect as Alex’s unsettling and vulnerable sister, Charlie. Click. It is astonishing to think that Hereditary is Ari Aster’s first feature film. This is an incredibly assured debut from an impressively cine-literate filmmaker. A director with a clear love for genre film. Every scene is carefully and beautifully constructed. The camera moves slowly and deliberately - giving us more than enough time to wonder what lurks in the shadows. In addition, the disorientating nature of grief is emphasised by the film’s superb production design and brilliant use of miniatures. Annie is an artist who makes tiny and intricate models depicting events in her own life. These creations are wonderful and also strange and unnerving. The models feel like they could come to life at any moment. Meanwhile, “real life” often seems artificially constructed - like a film set. Here, again, Hereditary forces us to question what is real. When will we wake up? How will this journey end? The answer comes, of course, in the film’s final act. Aster finally (and fully) commits to the mysteries that Hereditary has been hinting at from the very start. Was I also prepared to commit? I confess, there was a brief moment when I wondered if I was willing to go with Hereditary's third act. I can see that it may not work for everyone. However, by then I had connected to this movie on an (oppressively) emotional level and so I took its bony hand and (hell yes) stepped off into the dark. Some moments later, I emerged from the cinema feeling like I had experienced something truly great - a new horror classic. A film that will stand the test of time. A film that will sit companionably alongside The Shining, The Exorcist and Rosemary’s Baby. Like these genre giants, Aster’s film has left me with many horrific images - disturbing and iconic pictures that will linger long in my mind. However, it is Toni Collette’s stunning and distressing portrait of grief that will haunt my dreams. If you have, what did you think of Ari Aster’s film? Let me know in the comments section below or let’s discuss the movie over on Twitter. I’m @500DaysOfFilm. Great review! I haven't read a single negative review of this yet, I am so excited to see it! Thank you - and thank you for reading :) Hereditary is certainly generating some buzz isn't it! Let me know what you think when you've watched it... I can't wait to see it again. Really great review Jane. Completely agree about the performances of Alex Wolff and Toni Collette, both were superb in their separate ways. And the grief aspect, particularly when pertaining to losing a child, and Collette's reaction was harrowing, especially when you start to think about your own situation. I do agree that this isn't really a scary horror film (there are definitely ones that are much more fear-filled), but it is superbly atmospheric and has layers that still need to be explored in future watches. In that sense it is more like Rosemary's Baby and, actually thinking about it, Get Out - not overtly frightening but psychologically damaging and unsettling. The final supernatural occult explanation was rather silly but by then I didn't care because the rest of the film was so great. Sorry but this has to to have been the most rotten film I've (nearly) sat through this (or any other year). The shocking scenes are just there to make what is forgettable crap stay (annoyingly) in your head much longer than it should. This is a film with no soul, no humanity and is just down right sick. Please anyone out there, don't waste your time or money watching this rubbish.